Beat the Florida heat with a frosty, fresh treat – Blackberry Popsicles. These ice pops are super easy to make and even easier to eat! You will need popsicle molds but if you don’t have them, small paper or plastic cups will work perfectly fine. Use the back of a fork to thoroughly mash the blackberries. 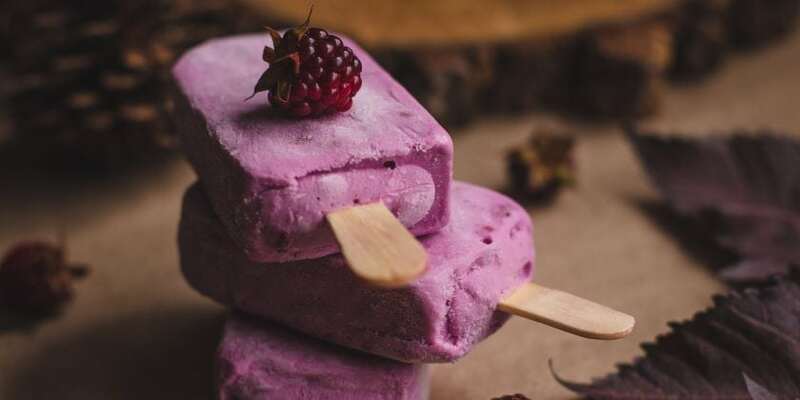 You can also use a package of frozen Blackberry Pulp if your local grocer carries it; just make sure to defrost it first. Stir in the honey and water until the honey is dissolved and thoroughly mixed. For a creamier version, try Almond Milk instead of the water. Fill the popsicle molds or paper cups and freeze until slushy which takes about an hour in my freezer. Add the sticks and continue to freeze until solid. Run the mold quickly under hot water to loosen. Enjoy!